The iron shoulder is cast in the concrete ties for fixation of elastic rail clips. Our rail cast iron shoulders include M.C.I. shoulder manufactured from pearlitic malleable iron and S.G.C.I. shoulder manufactured from spheroid graphite iron. We offer two types of iron shoulders. One is Single Stem Iron Shoulder used in pre-stressed concrete ties and the other is Twin Stem Iron Shoulder used in Bi-Block or Twin Block concrete ties. 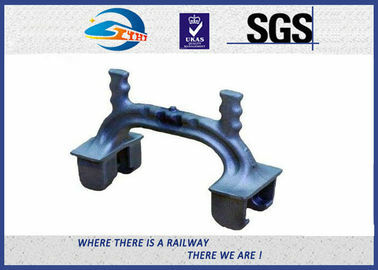 This type of rail shoulder is produced by hot forging, used together with clip bolt and special rail clip to fix the rail. 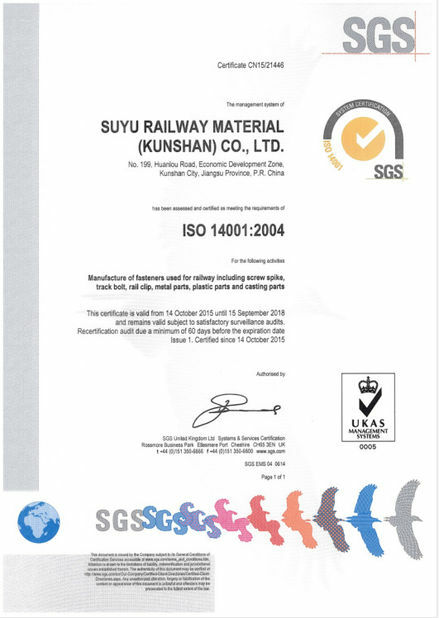 The material can be low carbon steel and mid carbon steel, according to our customers' requirement. Weld-on shoulder is used for the typical position of rail. This rail cast iron shoulder is welded on flat steel plate instead of the standard tie plate and is produced according to AREA standard. Designed for use with E style elastic rail clips, the weld on shoulder fastening allows customers to fabricate rail retaining units on both steel sleepers and steel base plates. The rail cast iron shoulders can also be welded on to longer length steel sleeper sections or bearers for use in the fabrication of switch and crossing layouts where vertical rail geometry is employed. The railway shoulder's ability to be welded in the specific position as dictated by the layout design makes it particularly useful and cost effective in this role.